Disinfectant cleaner. Easy to use pump action bottle. Quick and easy way to keep all Wahl and Moser clipper and trimmer blades clean and fresh. Helps resist bacteria virus and fungi. 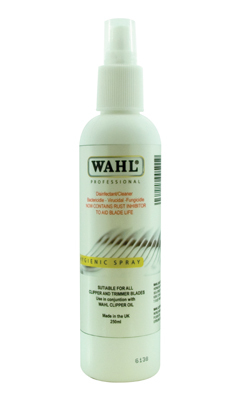 There are currently no questions for Wahl Hygenic Clipper Spray - be the first to ask one!